If you are a frequent airline traveler who is looking for a way to speed up the process of clearing security at U.S.-based airports, the TSA PreCheck (Pre✓) program is a great option to consider. Open to U.S. citizens and permanent residents, this program provides a way to expedite the pre-boarding screening process for "eligible, low-risk travelers." You must complete an application and pass a thorough background check to be enrolled in the TSA PreCheck program. The TSA PreCheck application process is very thorough. It can be started online, but requires an in-person visit to an authorized service center. To apply for the TSA PreCheck program, it is best to start by completing the UniversalEnroll form via the Transportation Security Administration (TSA) website. You will need to provide detailed personal information as well as answer questions about your background to complete the online application. It only takes a few minutes to start the application process online, and it can significantly reduce the amount of time you have to spend at the service center. Starting your application online in advance also reduces the likelihood that you'll have to make multiple trips to the service center due to not having access to all the necessary information or documents. Whether you start the process online or not, you will have to visit a UniversalEnroll facility in person to complete the application process. If you submit an online application, you will need to visit the service center of your choice within 120 days to complete the process. You can make an appointment online or by phone, but only after you have filled out the online application. You can also visit a service center as a walk-in. This is your only option if you don't complete the online application in advance, and you can choose this option if you did. Without an appointment, you should expect to have a much longer wait when you arrive at the service center, as those with scheduled times will be seen before you. This would really only be advisable if there is a reason you need to complete the application process prior to the next available appointment time. Due to the popularity of this program and the fact that service centers aren't dedicated exclusively to the TSA PreCheck program, you will likely find that you have to wait a few weeks to get an appointment. For perspective, as of June 2016, nearly 16,000 people are applying for the program every day, according to National Public Radio (NPR). Depending on where you live, you may have to travel to a service center to complete the in-person portion of the application process, as facilities are not available in every market. According to Travel+Leisure, in the summer of 2016, TSA began scheduling pop-up temporary enrollment centers in major markets to help make it more convenient for people to apply. 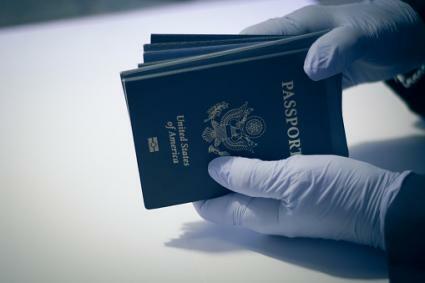 On the day you complete the in-person part of your application, you will have to pay the TSA Pre✓ fee ($85), provide original or certified copies of official documents that verify your identity and your status as a U.S. citizen or legally authorized permanent resident, get fingerprinted and complete an in-person interview. See the TSA Pre✓ Application Program Factsheet (PDF link) for a complete list of acceptable documents. The documents you provide must be an exact match with the information provided on your application. The information you provide during the application process will be used for background screening purposes via multiple government agencies to determine eligibility. Both U.S. and international background information (such as data provided by Interpol or other out-of-country law enforcement agencies) will be used to determine eligibility. The Department of Homeland Security will complete a full "security threat assessment," which includes thorough international intelligence screening and immigration verification. Your fingerprints will be processed through and retained in the Federal Bureau of Investigation's (FBI) biometric database. Your fingerprints will be enrolled in DHS' Automated Biometrics Identification System (IDENT). Your social security number may be verified against Social Security Administration (SSA) records. Note that criminal offenses are not just based on convictions or cold pleadings. In addition to convictions, TSA will also disqualify for certain crimes if a person is under indictment, a warrant has been issued, or for which the individual has plead no contest or not guilty by reason of insanity. See TSA's outline of disqualifying offenses for a complete list and additional details. Once your application has been processed, you will receive notification of whether you were approved via email along with a postal mail follow-up. In most cases, approval decisions are made and applicants are notified within a month, though TSA points out that there are situations where a decision can take longer. If your application is approved, you will be assigned a Known Traveler Number (KTN), which you will need to use when you make airline reservations in the future. The email notification will not include your KTN, but it will provide details on how you can find your number via the TSA website in case you need to reserve a flight right away. Within a few days of email notification, you will be sent a letter that includes your KTN and additional information about the program. After you have been approved, you will need to use your KTN any time you make airline reservations. As soon as you get your approval notification, it is a good idea to go ahead and enter your KTN into your profile for any of the airlines and frequent flyer programs you participate in. Any time you schedule a flight on a new airline, be sure to provide this number at the time you book your flight so your reservation will be notated with your PreCheck status. If you already had a flight booked when you received your KTN, contact the airline to update your reservation with your new status. When you get your boarding pass - whether you print it at home before going to the airport or if you receive at the airport - there will be a Pre✓ notification on it if the flight is eligible and your KTN is in your record. Assuming your boarding pass is properly marked, when you get to the screening area, proceed to the dedicated pre-check line to complete the expedited screening process. 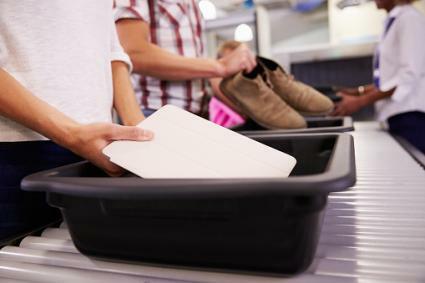 TSA PreCheck authorization is granted for five years, though it may be suspended if you violate TSA regulations. You will not receive advance notification that your enrollment is nearing expiration or that it has expired. It is up to you to keep track of the expiration date and to reapply in a timely manner. When you reapply, you will have to go through the complete application and background screening process again, as well as pay another $85 application fee.